We don’t have a good record at Blackburn in the few games that we have played there in recent years, the most recent win being the 4-3 during the petrol crisis in 2000. So I have never seen us win at Ewood Park, although it is still an away day that I enjoy. Despite seemingly constant traffic on the way up, we made good time and were soon holed up in the pre-match pub waiting for the rest of the North-West Horns to arrive. The first pint was rather lovely, but the pub ran out of beer from the hand-pump very early much to the annoyance of some of our party. But the beer still flowed as our number swelled and the pre-match gathering was fun as always. With Garcia now out of hospital but in the director’s box, it was Ruben Martinez in the dugout again. There were four changes from the Bournemouth game with Angella, Cathcart, Munari and Ighalo coming in for Tamaz Ekstrand, Abdi and Dyer. 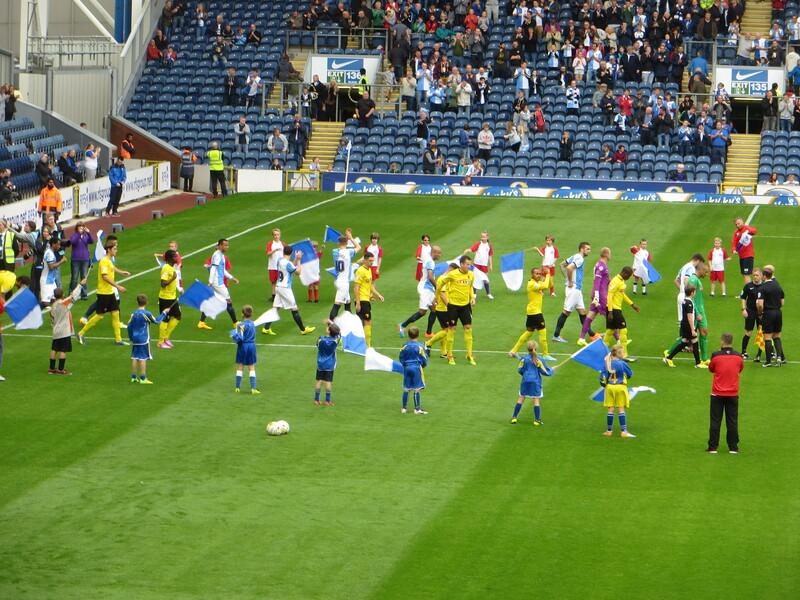 The starting line-up was Gomes, Pudil, Cathcart, Angella, Paredes, Murray, Munari, Tözsér, Anya, Vydra and Ighalo. 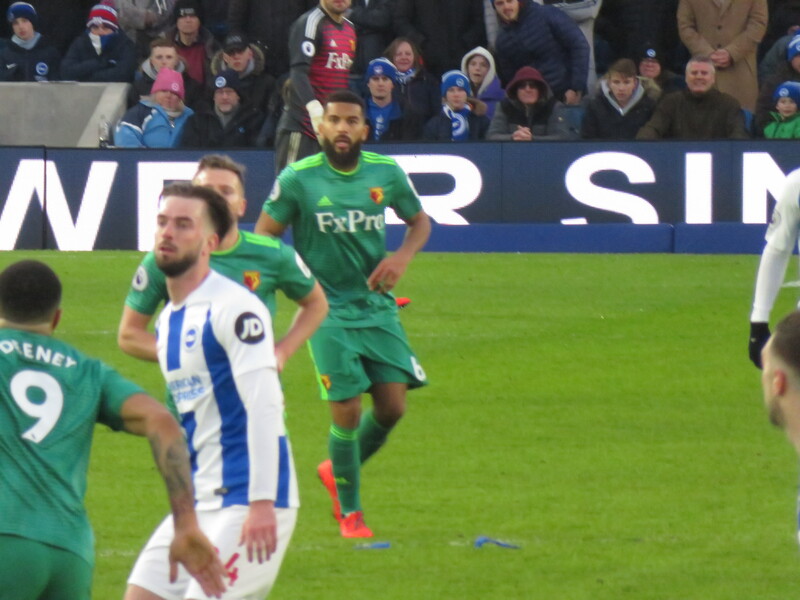 Watford old boy Lee Williamson lined up for the opposition. 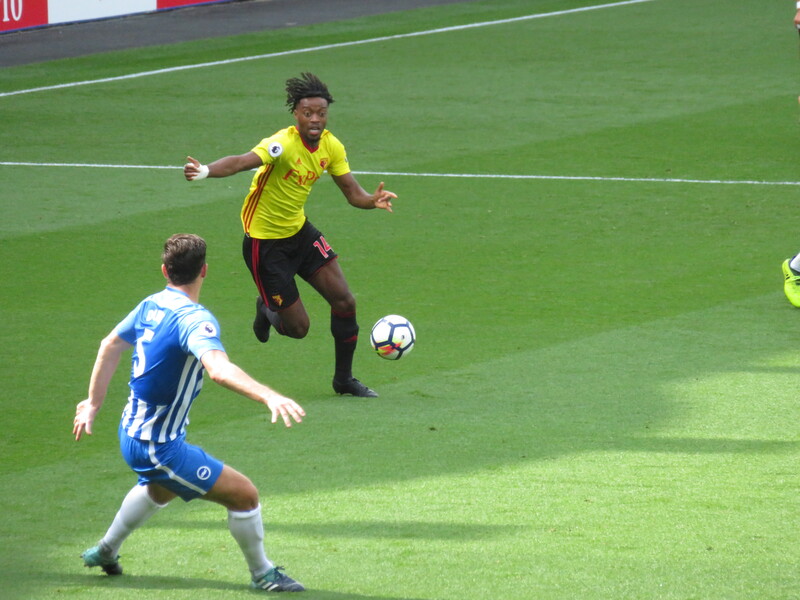 We had a great chance to take the lead in the first minute of the game as Anya cut the ball back to Ighalo, but he shot well wide when he should have hit the target. Rhodes was the first to threaten for the home side as he chipped the ball goalwards, but Gomes gathered easily. Baptiste tried a low shot from the right which Gomes dropped to save. A lovely through ball reached Rhodes who was advancing into the box, but Paredes got in his way and the ball found its way back to Gomes. Tözsér found Murray who advanced down the left before passing to Ighalo who took a couple of touches before finding the space to shoot, Steele was down quickly to block the shot. 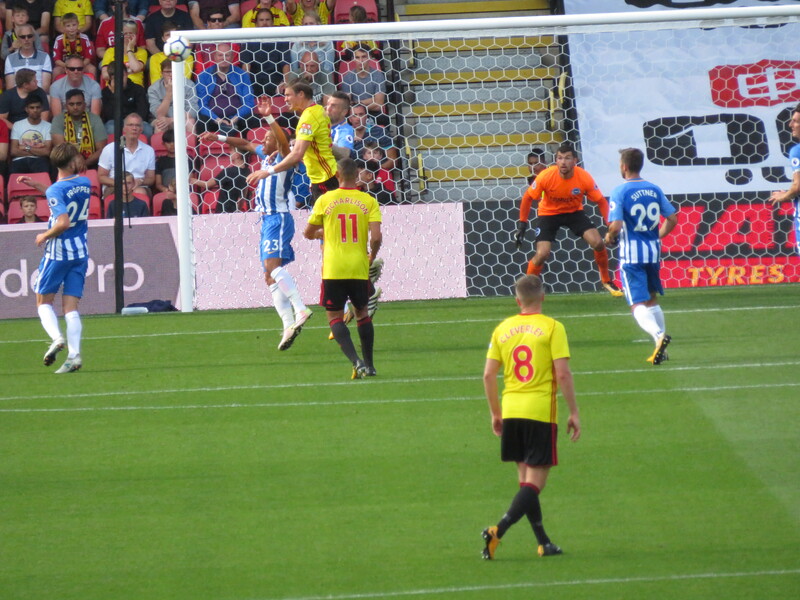 A short corner was dummied by Vydra and ran through to Tözsér whose shot was blocked. 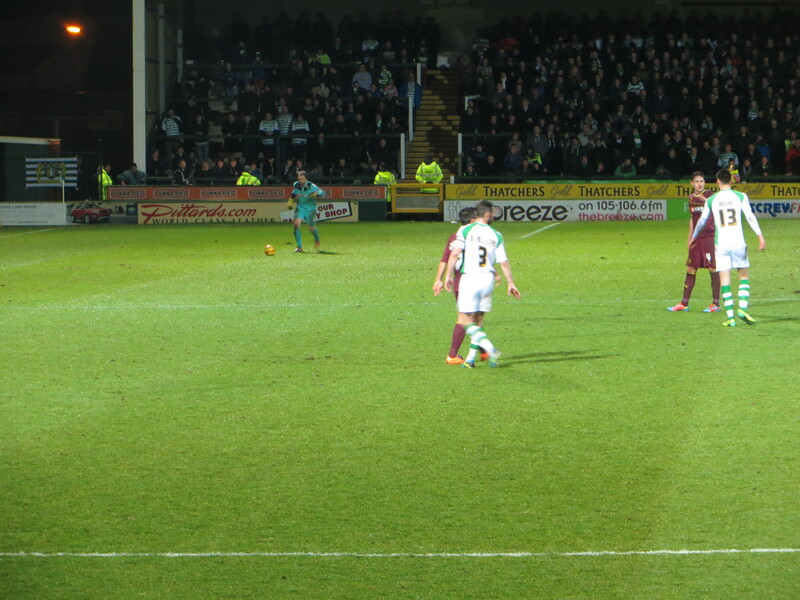 At the other end, Cairney cut in and shot goalwards but Gomes was behind it. Cairney threatened again as he received a pass from Gestede but shot over the bar. 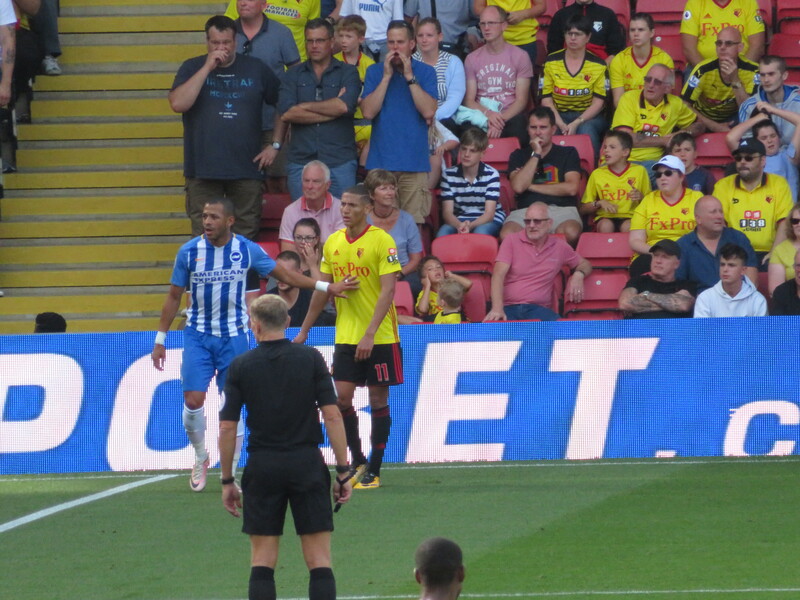 Watford made the breakthrough after half an hour as Cathcart released Vydra, who seemed to pause expecting an offside flag, which gave the defender time to get back, but he recovered and shot past Steele to put the Hornets ahead against the run of play. Munari broke down the wing and exchanged passes with Anya whose shot was blocked. 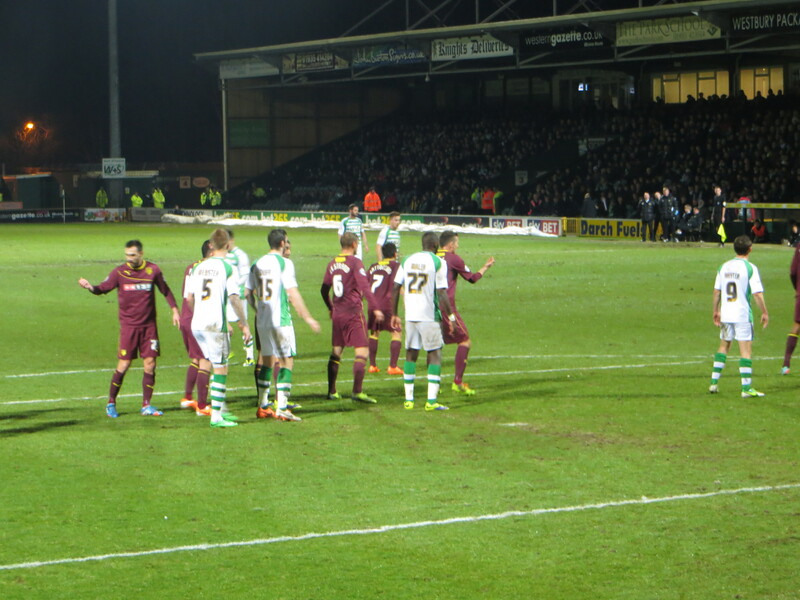 In the 39th minute, Rovers came close to equalizing but the shot from Gestede was fractionally wide. 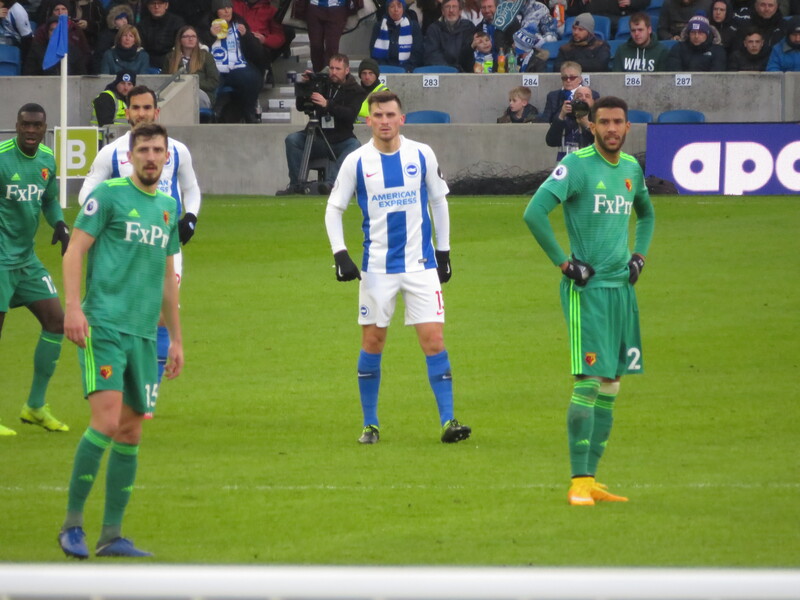 Instead it was Watford who increased the lead as Tözsér curled a free kick which bounced in off the post. Rhodes and Gomes both tried to reach a cross from Baptiste, but the Spaniard was first to the ball punching it to safety. The last chance of the half was an overhead kick from Rhodes that cleared the bar. The half-time whistle went with Watford two goals to the good, although it has to be said that the scoreline flattered us a bit. 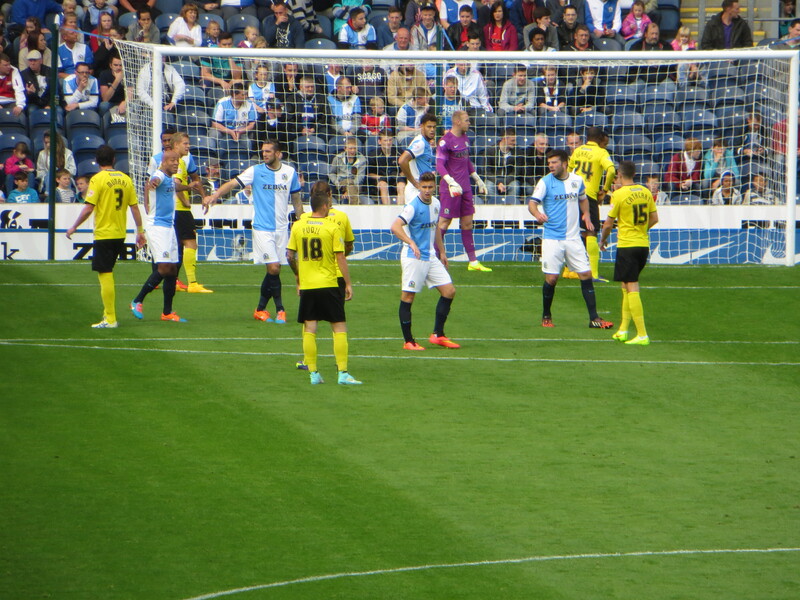 At the start of the second half, Rovers made a change replacing Baptiste with erstwhile Watford target Craig Conway. A number of fans had yet to return to their seats after the interval when Blackburn pulled one back as Gestede got his head to a deep cross into the box to propel a powerful header past Gomes. Rovers threatened again soon after, Paredes could only knock a ball into the box sideways to Gestede but, fortunately for the visitors, he shot wide. Rhodes received the ball in the box turned and shot but he also missed the target. 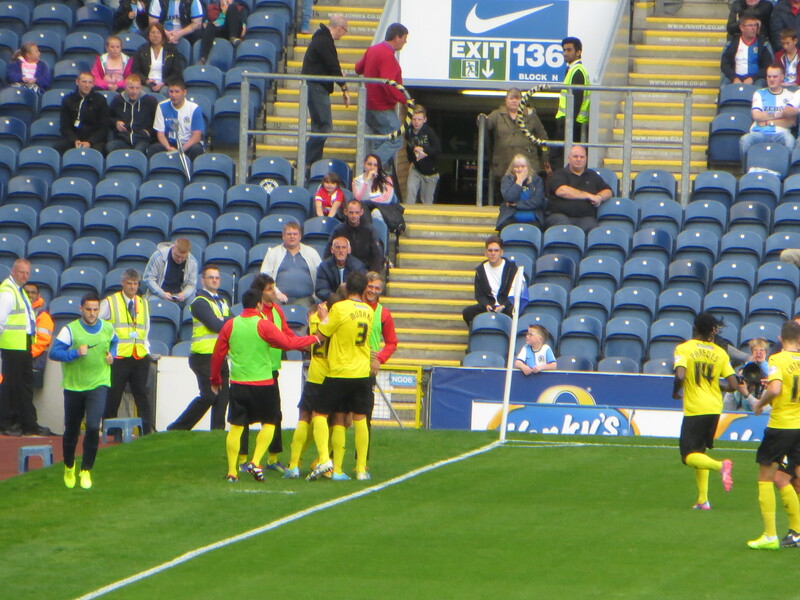 At the other end, Ighalo fed Murray who curled a shot into Steele’s arms. Then Vydra played the ball out to Murray who passed it back when he was probably in a better position to shoot, albeit from distance. There were loud protests from the Blackburn faithful as Pudil put the ball out for a corner, I couldn’t see from the opposite end but they clearly felt that a hand had been used. From the subsequent corner, Marshall headed wide. 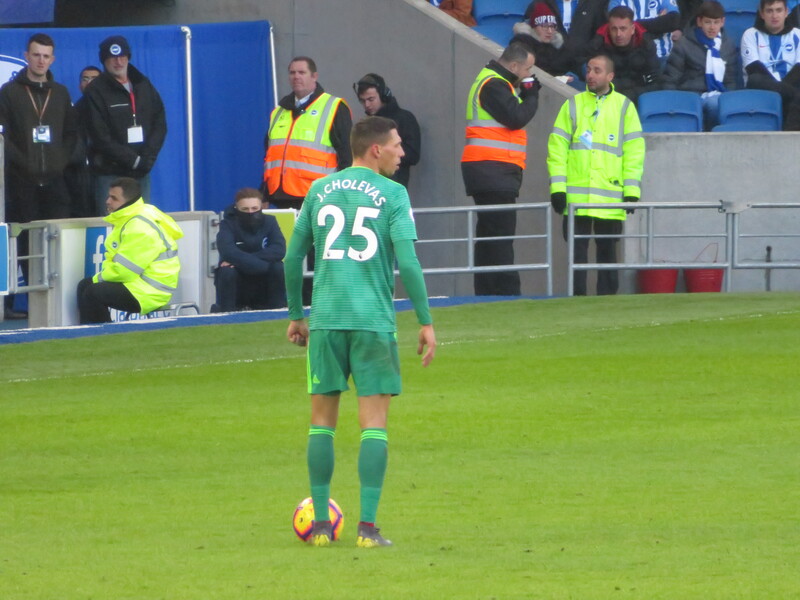 The crowd in the Ronnie Clayton stand were getting increasingly angry at the time that Gomes was taking for his goal kicks, the referee agreed with them and showed the keeper a yellow card. Murray played the ball out to Anya on the wing, but his cross was over the heads of all in the box. Munari released Vydra who played it out to Ighalo who was pushed off the ball far too easily. At the other end, Rhodes got the ball on the edge of the box but Paredes made a great tackle to avert the danger. Vydra was booked for knocking Duffy flying after the Blackburn player had already played the ball. It was an odd challenge that can only have been born of frustration. Rovers then made their second substitution replacing Williamson with Tunnicliffe. 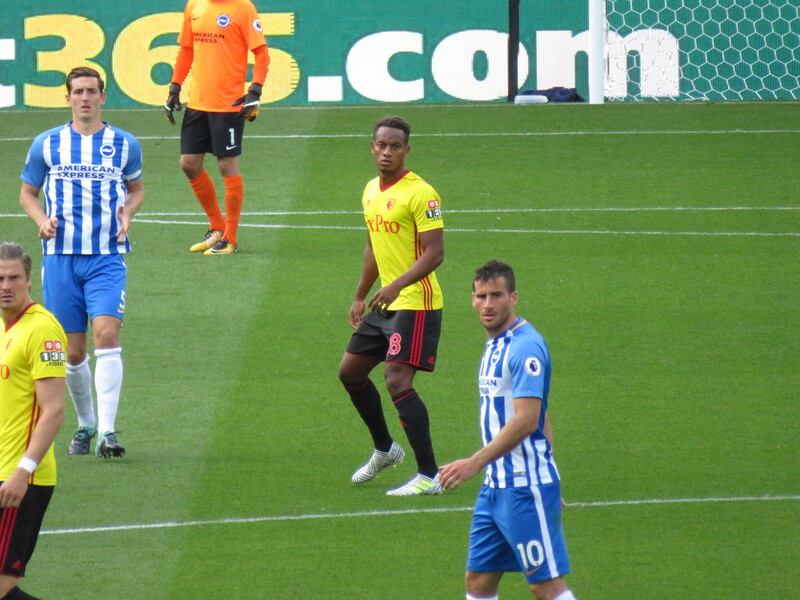 Pudil played a low cross towards Ighalo who failed to connect although he was offside anyway. 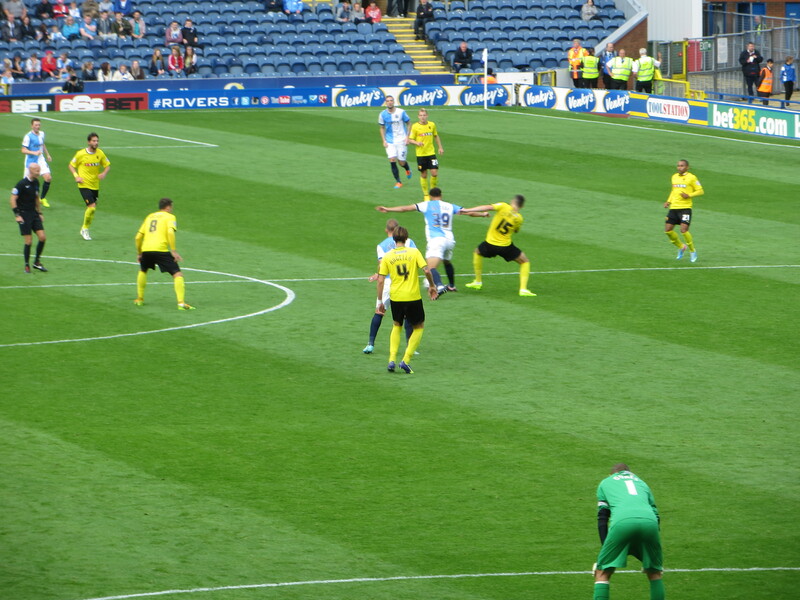 A shot from Gestede was knocked out for a corner by Gomes with a Blackburn player challenging for the header. A cross from Paredes was slightly too high for Ighalo to get a decent contact. On 68 minutes, Dyer replaced Ighalo who had had an awful game being shrugged off the ball far too easily. Dyer’s first act was to play a through ball to Vydra just before being taken down. 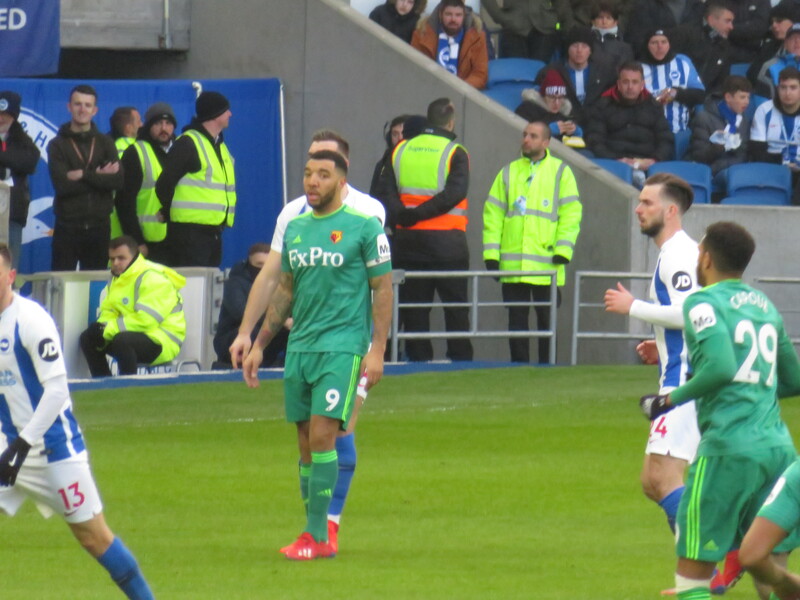 The referee blew up for the free-kick when it looked sensible to play advantage, Vydra lashed the ball into the net in frustration. Cairney was the next player to see yellow as he handled the ball when he was on the ground. Vydra had a great chance to increase the lead as he latched on to a header from Hanley but he passed instead of shooting and the chance was gone. An overhead kick from Gestede was blocked by Angella and went out for a corner with the home fans howling that he’d handled. 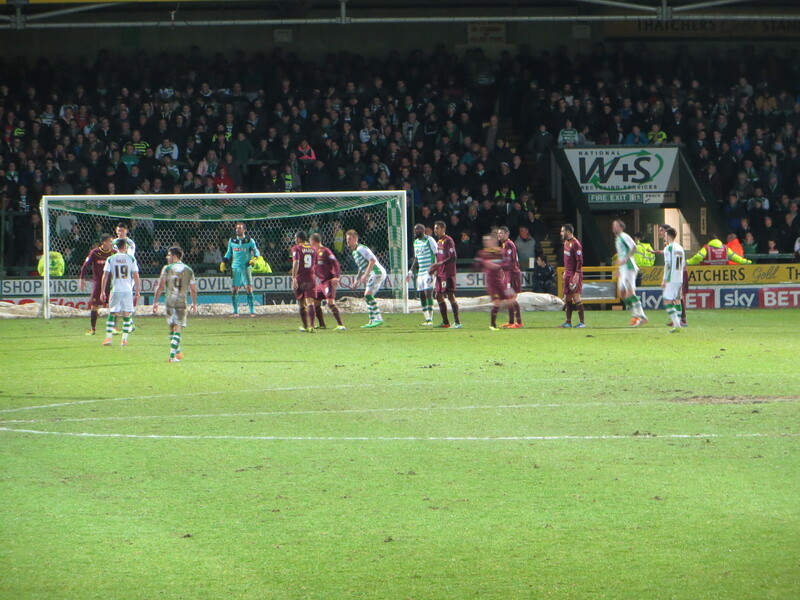 Gestede threatened again with a shot from the corner of the box that was well wide. Rovers equalized on 77 minutes as Tunnicliffe headed a cross from Marshall into an empty net. It was no more than they deserved. Soon after, Murray made way for Forestieri. Tözsér played a dangerous ball into the box but Munari couldn’t get a touch to it. 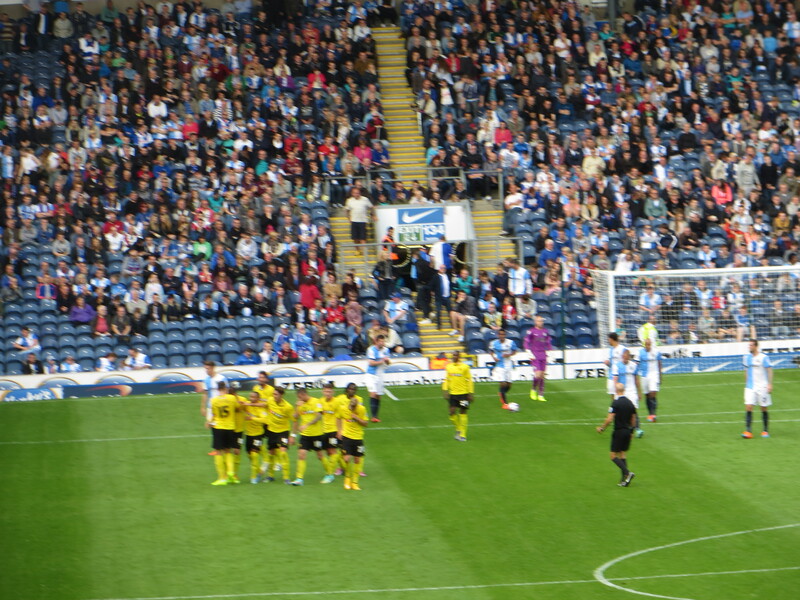 Watford nerves were jangling as Duffy unleashed a shot from distance that was just wide of the target. At the other end, a corner from Tözsér was met with a glancing header from Munari which flew just wide. 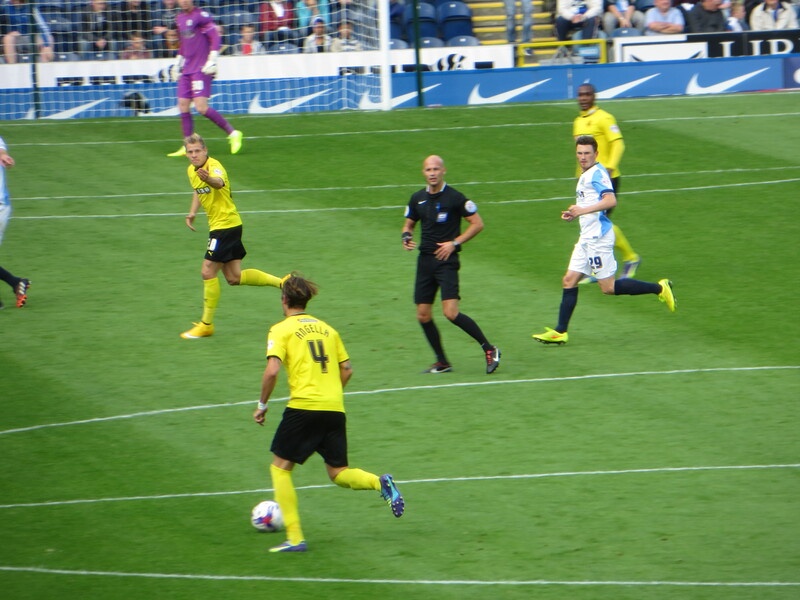 Rhodes went down very easily on the edge of the Watford box following a challenge from Angella. Cairney’s free-kick rebounded off the corner of the post and crossbar, the follow-up from Gestede was saved by Gomes who was then fouled by Rhodes who knocked the ball into the net but the referee blew up for the foul. With a couple of minutes remaining, Ekstrand replaced Anya for the Hornets. The Swede was tested immediately being beaten by Rhodes whose close range shot was saved by Gomes. In injury time Forestieri went down dramatically clutching his face after what looked like a nothing challenge. I was yelling for him to get up, so felt a bit guilty when I saw a photo of his swollen eye on Twitter. Angella then spent some time off the pitch with an injury and was booked when he came back on, presumably because he hadn’t received the referee’s blessing. 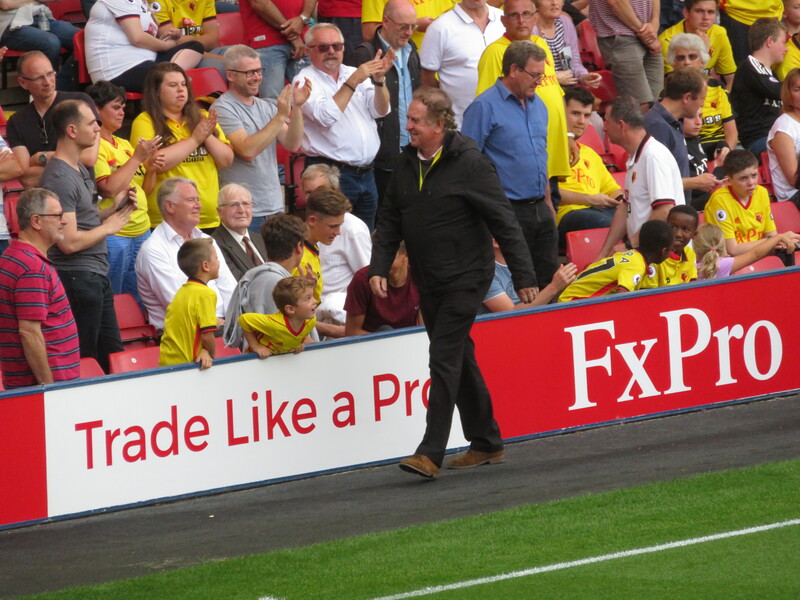 The final whistle was greeted with anger in the Watford crowd that we’d thrown away a two goal lead. But, on the balance of play, that lead had flattered us and, after hanging on in the second half, a draw felt like a decent result. This entry was posted in Watford FC and tagged Alex Baptiste, Ben Marshall, Blackburn Rovers FC, Corry Evans, Craig Cathcart, Craig Conway, Daniel Pudil, Daniel Tozser, Fernando Forestieri, Gabriele Angella, Gianni Munari, Grant Hanley, Heurelho Gomes, Ikechi Anya, Jason Steele, Joel Ekstrand, Jordan Rhodes, Juan Carlos Paredes, Lee Williamson, LLoyd Dyer, Marcus Olsson, Matej Vydra, Odion Ighalo, Oscar Garcia, Ruben Martinez, Rudy Gestede, Ryan Tunnicliffe, Sean Murray, Shane Duffy, Tom Cairney, Watford FC on October 2, 2014 by franelynn. As I sat at work on Tuesday morning listening to the rain, I feared another abortive tip to Yeovil. In the event, I had a decent journey and arrived to sunshine and blue sky. Our party gathered in the pub which was soon home to a host of other Watford fans, a number of whom I had also seen in there on New Year’s Day. We’d been told that the ground was only a couple of hundred metres from the pub, so it was odd to set off and not see any evidence of a stadium. But as we cut through an industrial estate, I finally caught sight of some floodlights. The security procedure prior to the game was completely over the top with every man, woman and child being frisked before they were permitted entry to the ground. I questioned the necessity of this and was told that a grandmother had smuggled a flare in for her grandson and so we were all to be treated as suspects. On taking my first look inside Huish Park, it has to be said that it’s a lovely neat little ground and it was absolutely wonderful to be on an open terrace right on top of the action. 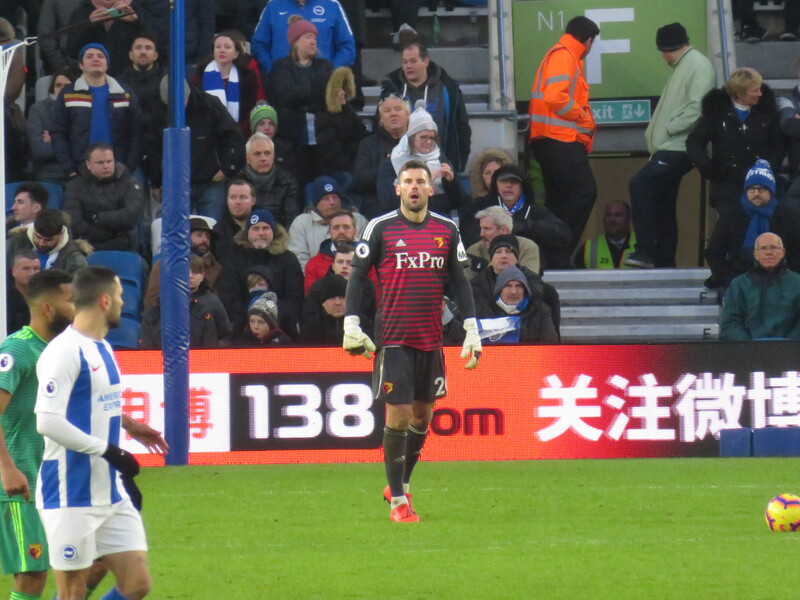 Team news was that Almunia and Ekstrand were back from injury and Ranegie was to make his debut. 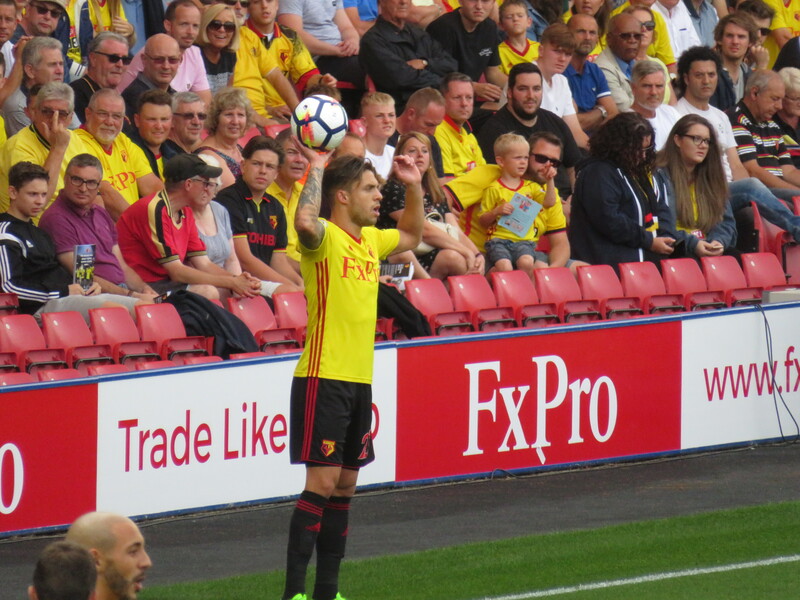 In fact there were six changes from Saturday, so the starting line-up was Almunia, Ekstrand, Cassetti, Angella, Pudil, Tözsér, Merkel, Ranegie, Battocchio, Anya, and Deeney. to Edwards who shot just wide. The visitors tested the Yeovil keeper for the first (and last) time as Merkel got on the end of a cross from Anya and Stech had to pull off a flying save to keep it out. Watford were having a decent spell as Angella had a shot that was just wide of the target, and then Merkel tried a shot from distance that was well over the bar. 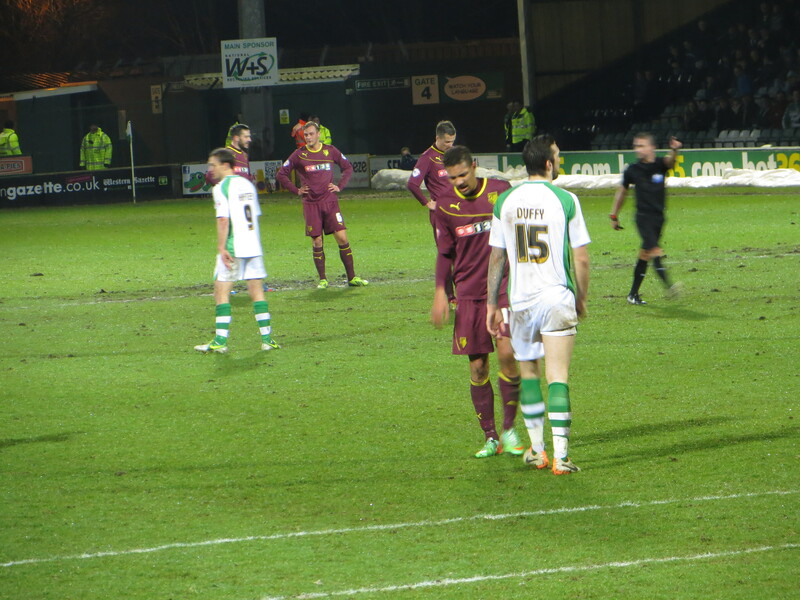 Then there was some great defending by Yeovil as Deeney received a pass from Battocchio but Duffy just took the ball from his feet. 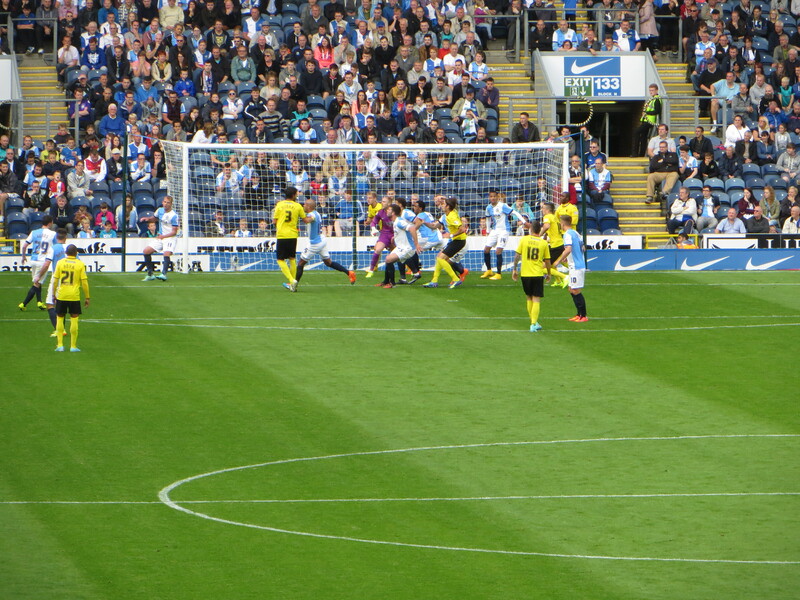 At the other end, a free kick from Lundstram curled dangerously goalwards and Almunia had to leap to get a hand to it. Then Deeney had a shot that was deflected for a corner. Lawrence tested Almunia with a shot from close to the bye-line which the Spaniard got a hand to and kept out. The first half passed quickly but there hadn’t been a lot in the way of goalmouth action. down again and was very lucky to escape with just a final warning. With a couple of minutes left on the clock, Faraoni replaced Pudil. Miller then went flying into Tözsér and was booked for his trouble. 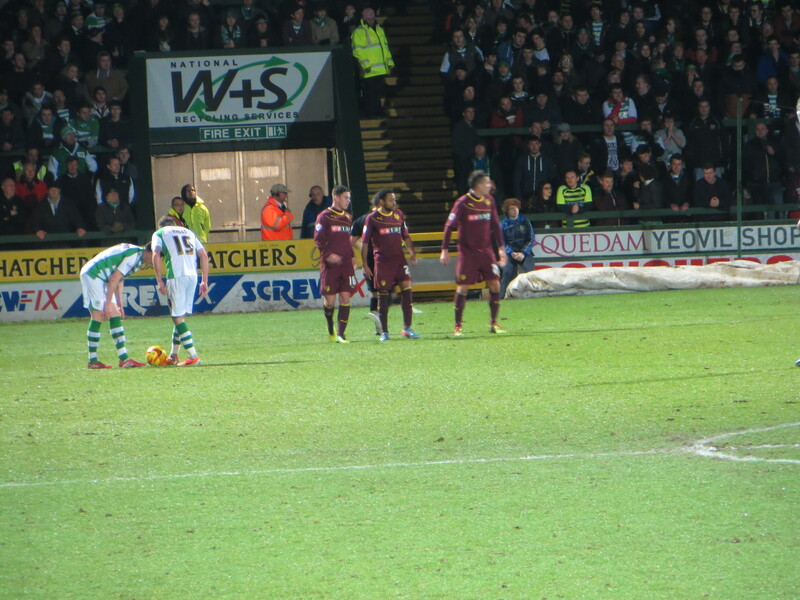 In time added on, we finally saw some action in the Yeovil box as a Faraoni cross was clearly handled by McAllister. The linesman was in a perfect position to see it, but didn’t flag and the referee just gave a corner. 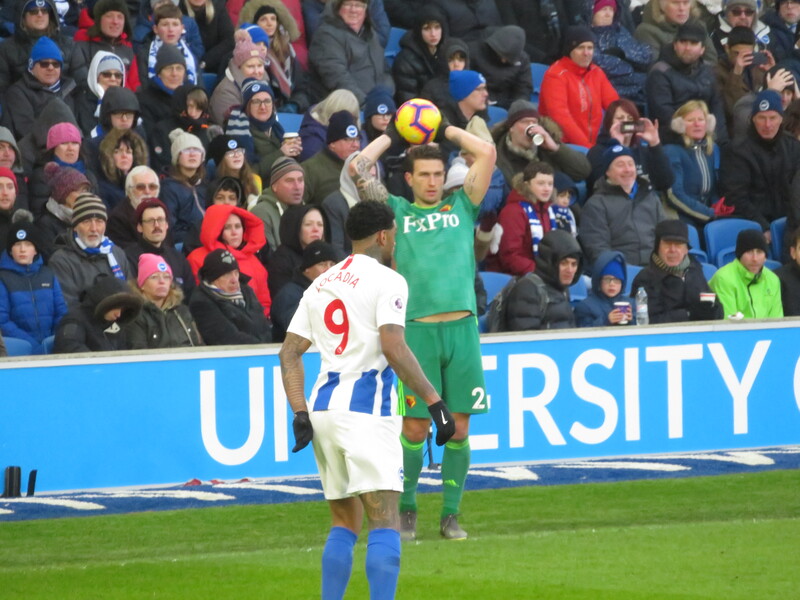 If truth be told, a Watford win would have been a travesty since I could only remember Stech having to make a single save and it had been all Yeovil in the second half. While I haven’t particularly enjoyed the past two home games, our performance against the team bottom of the division was like watching paint dry. Ranegie showed some good touches on his debut, but he didn’t seem to want to get involved. The highlight of the evening was definitely the experience of being in the ground. There is something about standing on an open terrace right on top of the action that makes you feel less of a spectator and more a part of the game. The other plus point was that I was staying over and only 10 minutes’ walk from the pub. The pints of post-match cider were very welcome as we tried to banish the memory of the game. This entry was posted in Watford FC and tagged Adam Morgan, Alexander Merkel, Byron Webster, Cristian Battocchio, Daniel Pudil, Daniel Tozser, Gabriele Angella, Ikechi Anya, Ishmael Miller, James Hayter, Jamie McAllister, Joel Ekstrand, John Lundstram, Joseph Edwards, Joseph Ralls, Kieffer Moore, Luke Ayling, Manuel Almunia, Marco Cassetti, Marco Davide Faraoni, Marek Stech, Mathias Ranegie, Sean Murray, Shane Duffy, Thomas Lawrence, Troy Deeney, Watford FC, Yeovil Town FC on February 19, 2014 by franelynn.